* Originally the focus of this website was on buildings and other features of historical significance within Brookhaven and South Haven hamlets—sites which help to tell the story of our past. With time however, interest in more modern sites within the two communities has caused us to expand the scope of the inventory to include some of these more modern features. 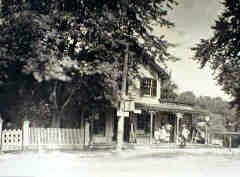 Town of Brookhaven Historic Sites Survey. In the early 1980's, an inventory of historically significant properties and places in the Town of Brookhaven was conducted. Some of the actual surveys were completed in the mid-1970's, others were completed in the early 1980's. The survey forms were filed with the Division for Historic Preservation, New York State Parks and Recreation Department. In addition to the copy filed with the State, copies may also be found at local libraries (including Longwood, Patchogue, and Smithtown), the Society for the Preservation of Long Island Antiquities, and the Town of Brookhaven Historians Office. This Section includes a transcription of the surveys for Brookhaven and South Haven Hamlets. While now identified as separate hamlets, the distinction was less defined in the 17th and 18th centuries (and the boundary between them is still fuzzy). Wanting to preserve the original content, I have copied the survey forms as originally prepared, correcting typographical errors. They therefore record the information known in the 1970-80 time period. My comments. Where I have included comments or updated the entries they are indicated by brackets [ ]. Supplemental Sites. I have also added sites which were not included in the original surveys, but which I believe have historic or archeological significance. These sites have an "S" appended to their identification code. Some of these "new" sites are "archeological" in the sense that they document buildings which no longer exist -- in some cases they have been replaced by newer buildings. I have tried to assign their identification codes so that they remain in location sequence with the original survey sites. 2004 South Shore Estuary Survey Sites. In the Summer of 2004, an architectural survey was conducted by Jayme Breschard using a grant received by Long Island Traditions, Inc. from the Preservation League of New York State. This survey focused on maritime heritage sites (which included homes of baymen/fisherman, boatyards, marinas, and industrial sites) along a 20-mile section of Long Island’s southern shore. Jayme was a graduate student at Cornell University, entering her second year in the Historic Preservation Planning program. 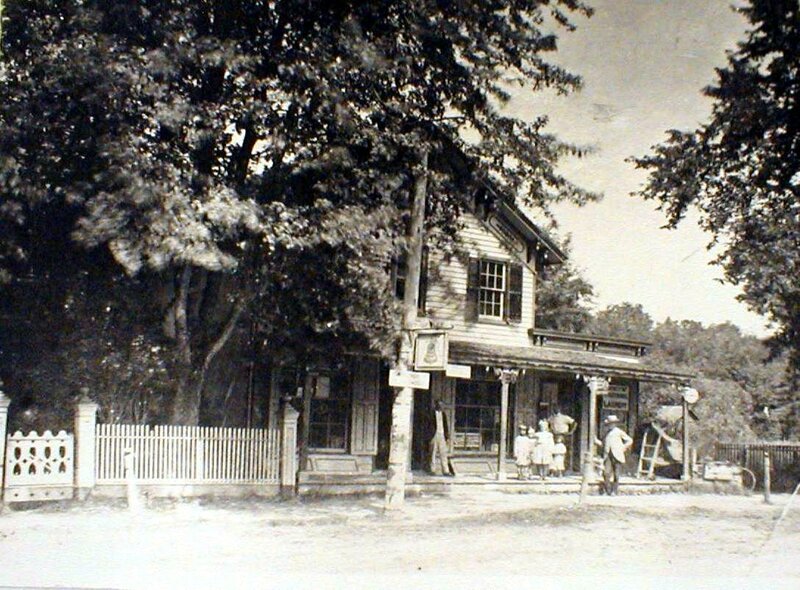 She was responsible for documenting the villages/hamlets of Brookhaven, Bellport, Blue Point, Bayport, and Oakdale. More about this survey may be found at South Shore Estuary Historic Survey. Her survey of sites in Brookhaven Hamlet have been added to this compilation. Some of the sites in her survey duplicated sites surveyed earlier, and her updated information has been incorporated into the original surveys, identified by brackets [ ] and attribution. I have assigned identification codes consistent with the earlier codes so that the sites remain in approximate location sequence with the original survey sites. The South Shore Estuary Survey report format is not entirely consistent with the earlier survey formats, and therefore a different display format is used. The original South Shore Estuary Survey Report is available as a Microsoft Word document by clicking on the link icon . Note: Not all of the South Shore Estuary Survey Sites have been added to the database as of 22 Sep 2004. This is an ongoing project -- I have only begun to mine the wealth of information in the Post-Morrow Foundation's historical collection, and have barely touched information at the Bellport-Brookhaven Historical Society. Unlike a published book, which becomes fixed in time, I add and update as information becomes available. I have obtained the images from a number of sources which are identified with each image. Many of the images were found in The Fire Place Heritage Collection at the Post-Morrow Foundation. This collection of photographs, manuscripts, family records and records of local community groups is available to the public for research and review by appointment. The collection is focused on local cultural and historical material of the Hamlet. I am continuing to research the collection of the Post-Morrow Foundation, the Bellport-Brookhaven Historical Society, and other sources. I expect the collection of pictures to continue to grow -- there are over 200 in the picture galleries to date. The originals are of varying quality and many are not notated, making them difficult to date. I have tried to enhance the digital images wherever I can to improve their clarity. I have also converted most of the older "yellowing" pictures back to their original grayscale. Most of the copies of the historical pictures were made using a digital camera ( a few were copied using a scanner) and a photo copy stand. Both Olympus Camedia D-360L and Canon G-3 digital camera models were used -- but now almost exclusively the Canon is being used. The use of a camera results in some parallax image distortion, but in most cases it is not noticeable. The advantage of using a camera is the speed with which copies can be made and being able to do the work in-situ. Almost all the images were captured using the available room light. I also have a modest personal collection of old Brookhaven Hamlet memorabilia, mostly old post cards from the early 20th century. In most cases these are duplicates of post cards in the Post-Morrow collection, although there are a few not found in their collection.